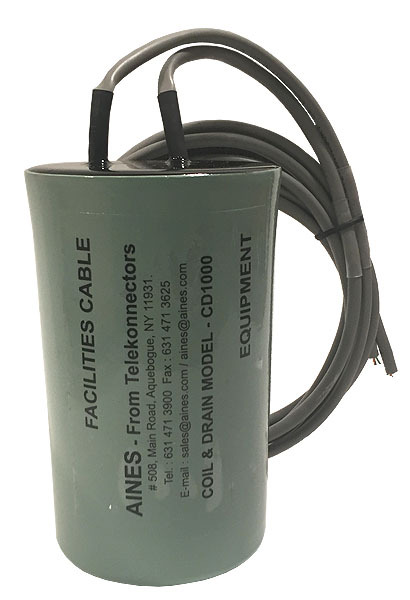 If you have these problems and your trouble is not caused by bad cable or other facility problems, solve your problems with the Aines CD-1000. Just place the CD-1000 at the noisy location. It works by re-balancing the line, yet does not insert more than 1 DB of insertion loss in your circuit. Makes line noise decrease by 40 DB in worst cases of induced unbalance. Heavy hum on trunk calls. while the on-premise station is quiet. 60 Hz AC to GND. Not working properly due to 60Hz AC.